As we've often mentioned, back in 2012 the U.S. government called Huawei a national security threat. There was speculation that Huawei phones and networking equipment spy on American consumers and corporations, a fear that continues to this day despite the company's denials. This fear was so pervasive that it led a government advisot to blow up a deal between the NFL's Washington Redskins and Huawei. 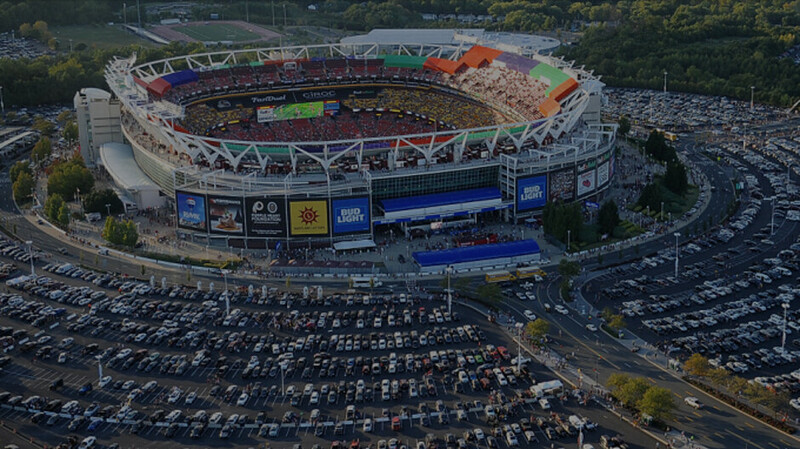 Back in 2014, the NFL team in the nation's capital, the Washington Redskins, had worked out a deal with Huawei to outfit the suites at FedEx Field with Wi-Fi.. According to the Wall Street Journal, in return Huawei would get free advertising in the stadium and during broadcasts of Redskins games. This would be quite a deal for a company looking to gain traction in the states. But one government advisor, Michael Wessel, read about the deal and was concerned. The suites were often occupied by lawmakers and senior government officials, many of whom headed up important agencies. Wessel, a member of a congressional research and advisory panel called the U.S.-China Economic and Security Review Commission, was able to get a high ranking government official to make an unofficial complaint to the Redskins, and the deal was squashed. But not before Huawei's name and logo was posted on FedEx Field's electronic signs for a couple of games. One security expert, Mathy Vanhoef, who works at New York University in Abu Dhabi, says it would be possible for Wi-Fi equipment from Huawei to pick up encrypted email and data from the stadium's suites. But that data wouldn't be useful, the researcher says, because email systems and websites use tough-to-crack encryption. And government officials would probably have another layer of encryption on top. But that information doesn't make Wessel feel better. The government advisor said that it still would have been too risky to allow the Wi-Fi network to be built. Why not try to educate these VIP's instead (eg: Hillary Clinton using an open channel for confidential government communication) ? Teach them how to use a VPN, establish encrypted channels of communication, perhaps have a security team thoroughly evaluate the hardware for bugs/malware. Worst case scenario, take some kind of control measures as to what data can be transmitted over Huawei WiFi network (eg : govt apps don't connect over unsecure WiFi). Now everyone has to suffer just to avoid inconvenience for a few. This seems to be a knee-jerk reaction to a problem that perhaps does not exist. Don't get me wrong, privacy and security espionage are very real threats, but there has to be a strong basis for such assumptions, and a thorough study, so that informed decisions can be made. So a small deal that fell through 4 years ago is now news? Absolutely anything to jump on the so called Huawei spying bandwagon seems to be posted just for clicks nowadays. So they wont use Huawei but I bet they all still use FB even though its been hacked many times now and loads of data leaked. Plus the share your data with loads of other tech firms. BS! I agree with Mootu. This happened four years ago, and is being dredged up now? Still waiting to see some solid evidence that Huawei is spying for China, as opposed to conjecture. Dirty politics at play, then and especially now, from a country that’s known to spy on its own citizens, to prey on the fears of its citizens (and others) that are easily manipulated. Conjecture and dirty politics are just excuses people come up with to defend Huawei despite the contrary. Huawei is shady and the apologists need to realize this. Conjecture is something that you’ve been doing since you’ve yet to provide any evidence that factually states Huawei is spying for the Chinese government. And you can’t talk about apologists when you’re always apologizing for Googles constant mishaps with Pixels. I’m not Chinese, but YOU are certainly very naive and gullible. Proof outweighs conjecture. You’ve provided no proof, but plenty of conjecture. Why don't you show proof that they aren't. Don't blame me just because you got called out on the recent Pixel article. Because the burden of proof falls onto the person making accusations, like yourself. Way to try and weasel out of showing actual proof, but I expected no less from someone that likes to spread misinformation around a tech site. Don't blame me because you've been getting called out on different recent articles about who you really are and about your obsessions. Ni**a please, the only thing he gets are hairy palms. Yup. Always do despite what grandpa Crispin says. He has no proof, just like gotstan has no proof. They are both are gullible and easily controlled. I don't see you with any proof saying otherwise. I'm not making accusations, you are. So you have to provide proof. That's how it works, despite what you think. Besides, Mootu has provided proof twice that proves your accusations wrong. See his comments. Where there's smoke, there's fire. Do you have proof that they saying otherwise?